Custom decks are a great addition to any home. Not only do they add significant value to your property as a whole, but they also improve the functionality of your exterior by expanding your living space. Not all decks are made the same though, and you need to choose the material that best fits your home’s needs. In this post, the deck experts at The Deck Store discuss three popular deck materials and their individual strengths and benefits. These are the quintessential choices for wood decking, highly prized for their rich, bold colors and natural beauty. They are also among the few truly natural wood options, as both species contain tannins and oils that make them naturally resistant to rot, decay and insects. As a result, they aren’t pumped with preservatives or chemicals. These wood options require moderate care, but their natural looks can last for years or more with appropriate maintenance. As your local deck installer, we recommend you go with redwood or cedar if you want a natural-looking deck that’s weather tolerant, bug-resistant and visually pleasing. 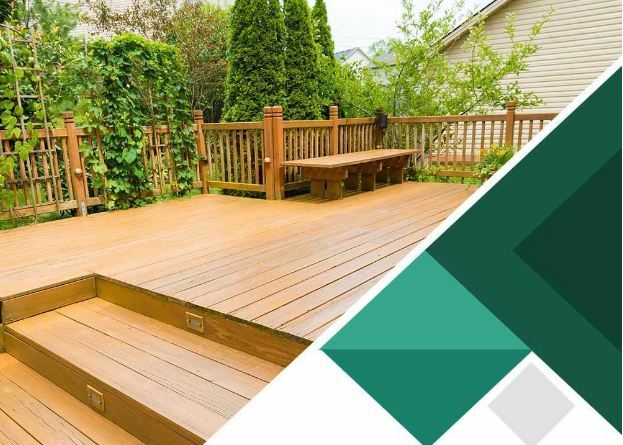 Composite decks are the most sold decking material and are quickly gaining popularity among homeowners. They are made from wood fibers and recycled plastic. The result is a deck material that’s extremely weather tolerant, stain-resistant and virtually immune to splintering, warping or rotting. The main advantage of composite over natural wood is that it’s extremely low-maintenance and will never require sanding, refinishing or restaining. Composite-made decks can last as long as your home with just a little cleaning and washing. These are fairly new and rare, but aluminum is prized as it surpasses conventional deck materials in nearly all aspects. Aluminum decks are completely immune to rot, rust, warping and splitting, and they are also slip-resistant. Additionally, they won’t get damaged by mold at all, and their powder-coated finish lasts virtually forever. As your local remodeler, The Deck Store can recommend the best deck material for your home. Call us today at (701) 223-1008 to learn more about our services. We install custom decks throughout Bismarck and other parts of North Dakota.